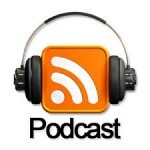 Are you a fan of arcade and pinball podcasts? If so, you’re in for a treat at the Southern-Fried Gameroom Expo! SFGE is pleased to welcome hosts from multiple hobby-related productions. On hand at the show will be Nate Shivers from Coast 2 Coast Pinball, Jonathan Leung from Arcade Repair Tips, Brent Griffiths and Whitney Roberts from Broken Token, and Atlanta’s own Preston Burt and Patrick Wall from Gameroom Junkies! Be sure to stick around the expo Saturday night for our huge mega panel: “Radio-Free SFGE: Podcasting After Dark” featuring all of our podcasting guests in one place!